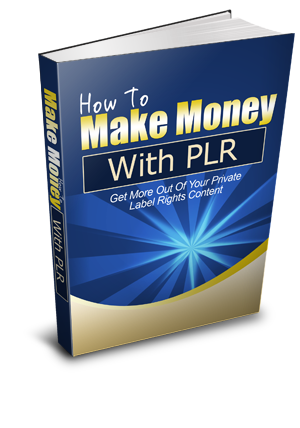 There are many different PLR providers out there, with prices ranging from a few cents to hundreds of dollar. To find the best PLR possible, there are several sources you can turn to. Let’s look at several places you can turn to. Some PLR vendors specialize in high-end packages, sometimes even offering rights to products of their own. This is more common in internet marketing niches than other markets, but if you are working in this niche it can be an excellent source of very good products to sell. But even if you haven’t bought anything yet, it’s a good idea to get on their email list so you can get notified when they release new packages. One of the secrets to success with PLR products is to implement them as quickly as possible. The longer you take to implement, the more competition you’re going to get so it’s helpful to get early notice when new packages are available. Get a copyscape account and check out your high quality plr content….. if you get going as soon as your plr content is distributed you’ll often times find you are the only one who has taken action and actually used the content. If you’re trying to save some money, just grab the first sentence, put it in quotes and do a Google Search…. it will give you an idea of whether or not it needs to be rewritten. PLR memberships can be a great source of content but there are a couple of things you need to watch for. First, see how long the membership has been running. If a PLR membership has been around for a couple of years, chances are it’s going to continue to be around for a while. A brand-new membership is not always as reliable, because many PLR sellers start out with great intentions but find it hard to continue to supply good content month after month. Not to say that all newer memberships are bad, just that it’s something to keep in mind. You can find a number of PLR stores that provide many different types of content. Much like with memberships, you’ll want to check out the reputation of the seller before you buy anything. A simple Google search for reviews will often tell you how good the PLR is. If you can’t find anything, however, it’s a good idea to test the quality with a smaller purchase first. I’ve used high quality PLR content to supplement an authority blog and depending on the subject matter of the blog you’ll be able to find a plethora of PLR content sources. One of the easiest places to monitor new high quality plr content is the Warrior Forum. You’ll find budding plr authors offering sets of plr articles for a dollar each…. of course the price varies with the content but often times these are plr authors trying to set up a plr business. Bascially, they want to get you on their list so they can promote their plr content…… you’ll pick up some great high quality PLR Content. Ebay and Amazon were pioneers in the making money online business. Everyday people search for ways to make money online with Ebay or Amazon because they know other people who are successful …..they just don’t know how to get started. Internet Marketing, the term applied to making money online, started off as a wart on these two ….through affiliate programs and directly through selling your own products in auctions on ebay. Actually, you probably already know that ebay also has an affiliate program, if you are approved you can pick a niche and start promoting other peoples auctions and collect on a portion of the sale. Amazon has an affiliate program …..they practically started online affiliate marketing and its what made the company successful ….they now have another way to make money and that’s through Kindle. What most internet marketers don’t realize is that Jimmy D Brown was one of the first individuals who organized the concepts of selling materials online into a teachable format. In fact, Private Label Rights commonly known as PLR was started by Jimmy D Brown. As far as I know, Jimmy was the first to get a handle on and began to sell Resell Rights, Master Resell Rights and PLR rights. If you don’t think the “rights” concept is big, go to the Warrior Forum and check out some of the wso’s….. you’ll surely find 10, 20 or more offers each week with some sort of resell rights attached. Many stay at home moms write articles and sell them as PLR…. they make a nice income! Tiffany Dow, a student of Jimmy’s, created a course called PLR ATM and teaches about how to set up your own private label store… dare I say 100’s have taken her teachings and started their own little PLR businesses…. click here and you can too! Well, Jimmy D Brown not only was the grandfather of internet marketing, HE IS one of the foremost teachers of internet marketing and creators of content today! I always kick myself for chasing after some new and great idea only to see it fizzle out. If I would have spent the last 10 years doing everything Jimmy D Brown said, bought all his material, sold all his materials and actually did everything he said to do….. I would be a rich man! I hate to admit that….. but its true. Not only would I be rich, but I would have a better understanding of making money online and would be able to help a lot more people than I do now. You won’t see the name “Jimmy D Brown” plastered all over the place. You won’t get a bunch of spam from him or anyone representing him. There is so much noise out there in the world of “Internet Marketing” and “Making Money Online” that it becomes confusing if you’re looking for a mentor or teacher. It’s next to impossible to figure out who to trust. It’s sad to hear from people who’ve invested in John or Jane Doe’s course and ebooks only to find out their teacher has been online only a year more than they were. Do you really think someone can absorb, learn and understand the intricacies of internet marketing after being online for a year? Obvisoulsy not! Well…. I thought I would make more of an effort to promote Jimmy’s materials simply because he is trustworthy and a man of good character. You won’t go wrong with anything you purchase from him and of course he guarantees anything you might purchase. More than that…. you can be confident that you’re learning the correct procedures when it comes to the process of making money online or internet marketing. Also, you can jump start your own internet marketing business by reselling some of the materials he puts together. For instance, Jimmy is selling PLR rights to a product called “The 31-Day Guide To Making Money On Ebay” At this point I’m shooting myself in the foot….. this is good stuff and all I’m doing is increasing my competition. Right? Not really, the internet is a huge, huge place. We can’t comprehend the size of the world wide web anymore than we can fully understand the size of the American debt. 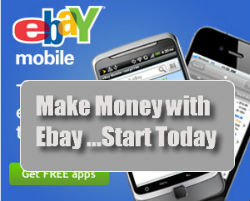 Not only is the market huge… as I said above, ebay was one of the first ways to make money online. People are hurting today and looking for ways to make easy money online and ebay is one of the first ways they think about but have no idea how to get started. My wife is a prime example, the internet is a foreign thing to her and to sell something on ebay would take her days if not weeks until she figured it out. Face it, there are people that are Internet ignorant…… yet they know enough to go into Google and search for information on how to sell things on ebay. If you provide them with a solution to their problem…. you’ll make a sale. If you apply that one simple concept to all you do online….. you will eventually began to start making money. People use the internet to solve their problems, find a niche with disposable income and you could make a lot of money! This is a complete PLR package…articles, ebook, salespage and more. You get a 56 page guide that is in Microsoft Word .doc format so you can completely edit it. Also you’ll receive a high quality html salesletter designed to sell your product, edit as necessary. Sell the guide basically as it is (with some minor tweaks to make it “yours”) for $30 just as I am currently doing. (Sell just 2 copies and you’re profiting!) It is ready to go! Break it up into smaller chunks and use it as the foundation of a membership site that you charge $10-$20 per month to join! Take the guide and convert it into a 31-day “eclass” that you charge $197-$497 to access where you simply answer questions that the customer has about each day’s lesson! Break up the content into smaller reports that you sell for $15-$25 each! Convert it to audios, videos, membership site content, viral reports, ezine articles, etc. to use as free incentives and more! Remember, the book gets sold for $30 with no rights. For $37 you can get the complete package and set up an evergreen product because you know Ebay is never going to go away! I don’t think you’ll find a better plr writer and producer than Tiffany Dow. For years she has been a ghost writer for some of the largest and most important internet marketing experts. In fact, she has provided material for Jimmy D Brown, someone I consider to be the father of the PLR and Resale Markets. Tiffany Dow has also been a major contributor to the Warrior Forum over the years adding value with each post. Well, Tiffany has been very successful switching from ghost writing to writing PLR or private label packages of articles and or books. In fact, at the risk of sounding hypey, you can start your own PLR business within days of reading her new book, PLR ATM. Tiffany is a generous person….which is good for us. She has put together a course called PLR ATM. I’m excited because I know for a fact that she has taken the process she uses to create an online income. All we have to do is follow it! This isn’t some rehashed plr material but its all original and is a virtual recipe for you to start making money online. Anyway, I got an email from Tiffany and I thought I’d post it here. You might find it helpful. By the way…don’t forget to click on PLR ATM and grab a copy….I know you’ll love it! Everyone always wants to know tips on becoming a super affiliate. share a few tips from their success. recommending it just for money. things that we take to heart. Marketers just advertise. Nicole said to buy it, they did. That’s powerful! get past the gate with me. 3. Go above and beyond for those who buy through your link. three bonus items for her buyers of PLR ATM. for those outsourcing the PLR content. her list – and it shows. that the scammers get squeezed out of the industry altogether. Let’s say that you have purchased some PLR content. You should be asking yourself, how do I use PLR to best advantage while avoiding roadblocks? Search engines identify content and are trying to feed surfers relevant results. To do that, along with other things, they have to scan the on-page content. If you think that having the same content on two different sites gives you two chances to be ranked high in the results, think again. It won’t happen. The search engines became wise to that trick a long time ago. Search engines are known to have very complicated algorithms that can be difficult to reverse engineer. But one thing is certain: if the exact same content is used across multiple websites, you can suffer a duplicate content penalty. Rewriting PLR content is the best way to deal with that problem. Sure….it will take some work on your part, but the benefits get stacked on your side. There’s a constant debate over how much of the PLR content should be changed, but even changing only 10% of the content can quickly give the advantage to you. Out of a 500 word article, that’s only 50 words – in most castes, that’s less than one paragraph’s worth over all. That should be easy for you considering the advantages. Developing the content in your unique style has another advantage. You can give your site a definite ‘characterization’ by modifying the PLR article to something that sounds more like how you talk and write. When you do that with a number of articles, you are guaranteed to differentiate your site from your competitor. That keeps visitors and customers loyal, because then you are the only one in the world with exactly that content. After all, there are lots of actors in the world, but there’s only one Harrison Ford. As the internet grows, becoming unique will cause you to stand out which will attract more visitors in the long run. You could avoid the duplicate content issue entirely by writing every article from scratch. But, you’re purchasing PLR articles and writing your own is time consuming and not everyone has the interest or ability. Running a successful site or group of sites will keep you really busy. When you spend your time writing, you’re not doing those other things….the things that make you money. Starting from a blank page is much tougher. It’s a lot easier to re-write something than to write from just a topic idea. Changing a phrase here or an example there is easy and the writing that’s already on the page stimulates you to think of alternatives. Quality counts, too. You may not have the ability or interest to write great content, content that attracts visitors and backlinks. Even if you can, it takes time to do well. If you don’t take the time, you’ll end up with content that isn’t polished. That turns people off. Not a good business strategy. It’s much quicker and easier to modify good quality content to avoid a duplicate content penalty and make it your own than it is to fix up junk. You can polish good chrome to a shine in a few minutes. If it’s rusty, you’ll spend all day! Trust me on this, PLR content vendors vary a lot…..especially since so many have jumped on the bandwagon trying to make quick cash. Niche Content Packages, one of the best quality PLR sites and online since 2005, hires the best professional writers to give you the best content. The PLR articles offered here will give you a great starting point, save yourself some time and start polishing some good chrome :). Do you own any websites where the traffic comes from long tailed keywords and not the main keyword? I set my sites up so that about 60% of the traffic comes from the long tailed keywords and not the mail keyword. Therefore how can we exploit the long tail keywords of individual niches in a way that will maximize traffic without spamming the search engines? OK, What Are Long Tail Keywords? Long tail keywords are basically keywords that contain the main keyword(name of the niche) plus other words. For example if the main keyword was ‘making money’ an example of a long tail would be ‘making Money in Chicago’. Why Should I Really Care About Long Tails? To honestly answer that question you need to understand what “competitiveness” is. Long tail keywords are associated with low competition in the search engines, meaning you do not have many webpages that have your longtailed keyword phrase. Well you may think “so what, hardly anyone searches for ‘making Money in Chicago’ or ‘dog training in Chicago’”. You’re right, but what if you had 50 pages that all targeted different long tail keywords? Let’s say the average amount of visitors that one of those keyword brings in a month is 100. Multiply that by 50 and you’ve got 5000 unique’s each and every month. Go ahead and click on the image to learn more about PLR and long tailed keywords. This is the key…., how difficult do you think it would be to rank for these longtailed keywords? Easy! That’s right, most long tail keywords are incredibly easy to rank for in the search engines. Actually on many occasions all that’s necessary would be to build and upload a webpage that has content targeted towards a long tail keyword ….plus as soon as it’s gets indexed by the search engines, you might find it ranking on the first page immediately, in the number 1 position! Don’t misunderstand me, I’m not saying you should forget about targeting your main keyword and just focus on the long tails. By all means you should still have a page – usually your home page – that targets the main keyword for your niche, but you have to realize that almost all of the time it’s going to require a lot of SEO before you see any real traffic coming from that particular keyword. So, why not at the same time, build pages that will gain traffic faster and act as window pages into the main heart of your website? But what if I can’t write or do not have the time to write 50 pages of content on my own? You’ll find PLR content is easily the quickest way of exploiting and targeting the long tails of any niche you’re working in. Why? Well it really depends on the type of PLR content you purchase or have access to, well written PLR articles are written around specific and intentional long tail keywords. That means you will be able to build pages that have content specifically optimized for individual long tail keywords, which the search engines will absolutely love! If you don’t want to spend a lot of time writing article after article on topics like ‘making Money in Chicago’ or ‘zits on my nose’ and it’s not in your budget to pay someone to write these articles for you, PLR content, articles, are exactly what you need. The key to success with PLR content is learning how to use it correctly. For instance, learning about longtailed keywords and plr articles. If you want to learn from the best and start taking advantage of your own PLR content, then below is the link to the top PLR content service in the world, which just got better, so why don’t you…….get PLR Articles with Long Tailed Keywords! Understanding private label rights is the beginning of learning how to start your own article marketing empire. Althought there is an abundance of online information about plr materials we find that there is a serious lack of information regarding the plr process, in other words, what are the steps and exactly what needs to be done to use private label rights correctly. If you have eyes on this page, you’ll soon be downloading a free ebook on the plr process….perfect for the new marketer and a good refresher for the more experienced marketer. This ebook is put together by the guys from PLRpro….experts in using plr material, and this isn’t some flimsy promo book, but an ebook with good solid information. What’s more this ebook about plr material and marketing is 79 pages long….you’ll be amazed at what you’ll learn. Next, there is a discussion on the PLR Site Creation Process which involves the method of using plr materials to build your ni che sites. You might think you understand or already know this process…trust me you’ll pick up a few ideas on how to properly think through the entire PLR and Website Creation process. You’ll learn how to do the research to pick your niche. Get a better understanding of keyword research…I know just about everyone could use some help with keyword research. Sometimes just one trick is all it takes for the lightbulb to go off. For instance do you know how to use “intitle” and google to determine the effectiveness of your keyword or keyword phrases? You’ll learn that on page 17. If you’re putting up a new site, you’ll need a domain. I’ll let out a little secret…how about using a tool called domainsbot ….an awesome tool for finding a keyword rich domain…and it’s free. In the PLR Process you’ll learn how to domainsbot and how to use it to find domains no one else would think of. Yes, you domain name is important. When I started, I was completely ingorant of this fact and wasted a lot of cash on dumb domain names. So, keep in mind there are tricks and guidelines you need to follow if you’re looking for a new domain name…..all covered in The PLR Process! You’ll find out where to get used domains, domains with page rank already, best sources for purchasing domain names. It’s interesting to note….domain names are very important to any site your build. Once you find a domain name and purchase it, the next step is to get a good hosting provider. These are discussed along with reasons for picking a good hosting provider. Trust me, get the wrong hosting provider and your life will be miserable. You’ll even find out how to set you domain up on your hosting provider. Something that’s simple if you’ve done a handful…..but if you are new at this…..well the task is daunting. But don’t worry, you’ discover how to get your domain working step by step. Next comes actually putting the pieces together and building a website. How are you going to build your site….the standard html site or maybe a wordpress blog. In the PLR Process you’ll look at a couple of website editors such as Dreamweaver, Xsitepro, HyperVRE, Frontpage and a few others. I started almost 8 years ago by purchasing Dreamweaver….a great program. However, there have been many advances in website building software and I think Xsitepro is probably amongst the best for building small seo optimized sites…..for the beginner and pro alike….but you can find out more in The PLR Process. In the above paragraph the websites are standard html, static webpages. Next we look at wordpress blogs. You’ll get a tutorial on how to install these blogs using your hosting providers Cpanel. After you get your blog up and running, you next take a look at things like themes. This is the way your blog will look…..a blog doesn’t have to look like a blog….and The PLR Process walks you all the way through the process of using themes to change the look of your blog. Plugins make a blog do special things. Plugins are like accessories on a car, and in this ebook you’ll find out how to install the plugins and where to find them. You probably already know this, but most plugins are free and you’ll find a couple of great sources for free plugins. One of the things a plugin can do is properly optimize your blog. I was really surprised to see the detail that’s explained on how to really get your started with properly optimized blogs. This only takes a little work and will make the difference between night and day when it comes to website traffic…and that’s what its all about….TRAFFIC! I’m only about half way through describing The PLR Process, I hope you can see that this is a real bargin. 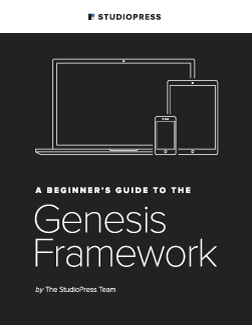 I’m half tempted to charge a small fee for it because I know most people love to download free ebooks and then they site on your hard drive……Promise me you won’t do that, please read this book and I promise you it will help you to achieve your goals of becoming successful online. Click here to download The PlrPro Process! PLR Content – Is It Considered Duplicate Content? Do you want to start a firestorm on a forum? Just mention the word duplicate content and plr content in the same sentence. If there’s one thing that scares an internet marketer more than anything else, it has to be the fear of having all their sites delisted because of duplicate content. But what if I said you had a better chance of being ‘eaten by a shark’ then you would of being picked up for violating this regulation set out by Google and the other search engines! I wonder if there really is a duplicate content filter? So when in the past has a site been delisted directly as a result of using PLR content? Very rarely I can tell you! In fact I haven’t met a single marketer who uses PLR content that has been caught violating the duplicate content rule. So what does this mean? It means that whatever you’ve been told about the connection between PLR content and the duplicate content rule is for want of another word completely ‘bogus’. We all know that when you purchase PLR content, the chances are you’re going to have to share it with a certain number of marketers. This in affect has been a major deterrent from purchasing such content, even though the real truth is, it’s completely safe. So What Is The Duplicate Content Rule? The duplicate content rule affects those who copy a site, word for word, as well as duplicating the exact same design and layout of the other site in question. Well of course you will get delisted if you do this! You may as well download someone else’s site and re-upload it to your own server under a different domain! So in reality, the only time you will get nailed on duplicate content is when you put up a webpage or website the is an exact duplicate of someone elses webpage or website…including your own. Using PLR content however on a completely unique looking site, won’t set off the search engines red lights and bells at all and, think about it, why should it? OK…the content on your site may be similar or the same as someone elses, but you may also have some other unique content that will benefit the visitors to your site. Here’s a little secret…but first I want you to think about how many ebooks, websites, graphics, articles or special reports that you have on your harddrive. Now think about how much of this material has actually been used? The truth is more than 90% of the plr material purchased is left sitting on someone’s hard drive. That means less than 10% of the plr material purchased actually gets used. This means if you are motivated, ambitious ….well, you stand a very good chance of getting ranked very well for the plr material you purchase and use. I bet I know what you’re thinking. Your thinking “why has this guy been telling us this whole time that PLR content is completely safe and now he’s going to talk about rewriting!” Well the truth is there are more advantages to using unique content then there is for using just straight copied PLR content. Remember if your ambitious and make even minimum changes to any plr material you purchased you will get rated well. If you are pressed for time, just changed the article title. Next in importance would be to change a sentence in the beginning of the article and then go down to the last paragraph and either add a sentence or two…..or change a sentence or two. …..when changing any sentence, make sure it is one with your keyword or keyword phrase in it! Think about it for a minute. Would the search engines be more likely to rank a page with unique content rather then a page that has the same content found elsewhere? Of course! Now you’re thinking “what’s the point in having PLR content then?” Well when we say rewrite that only means rewriting a fraction of the PLR content you have available. Changing 25% would be a good amount to aim for, which should take you barely any time at all. An article that is different by 25% insures your pages are going to be considered as being unique content by the search engines. Your article will be considered more unique and will be given more weight than those articles that are copied word for word. Want to learn more about PLR content…..learn from the guys who use it to make a nice profit month after month. That’s what internet marketing is all about…..learning from others who have already made the mistakes and learned to methods or ‘secrets’ involved in at least one aspect of internet marketing. So, check out the kings of PLR Content! We’ve all heard it, the famous phrase, ‘content is king’. Well if content is king then how the heck can we go about increasing the number of content we are able to utilize. I mean we’ve all been there, feverishly writing article after article to use for submissions and posting to our sites and the more we write the less enthusiastic we start to become about create a successful online business. So, how can we get around the one thing that all internet marketers hate doing? If you haven’t heard about PLR(private label rights) content then it’s basically this – content that you can take and use as your own to submit to article directories, on your site, in an email series or any other method where content necessary. So where is it? Where can you go to find a whole bunch content to use as your own? Well, there are many services out there that offer quality content that members are free to use in which ever way they deem appropriate. Of course the option of taking content from the many article directories out there is possible, however there is one thing that limits this method and that is the fact you are required to add in the author box that comes attached to the article you are wanting to use. This means their link will also have to appear on your page, intern sucking out Google Page Rank that would normally filter through to the other pages on your site. The other disadvantage is the fact that hundreds if not thousands of other marketers out there would be doing the exact same thing. Having the same page on your site as thousands of other people makes it incredibly hard to rank in the search engines. The other option would be to pay for your PLR content. There are many services that offer content to their members. This usually means you’ll have to share the content with a limited amount of people. Only members will have access to the content, however there are some things you need to look out for. Firstly how many people will have access to the same content as you? If the service you are looking at requires you to share their content with a thousand other members, then what’s the point? You may as well go out and grab content from article directories. Secondly work out how much you’ll be paying per article. If a membership costs $100 and in that member ship you’re going to have access to two hundred articles that would mean the cost per article is going to be $0.50. Therefore a membership that offered 400 articles would make the cost per article half of that. PLRpro is only for those interested in developing a serious income online. It isn’t some cheap PLR membership site….it’s only for those interested in really starting their own online business. On top of that, most of the time it is closed. I suggest you take a look to see if PLRpro is open and if it is, don’t hesitate to jump in! Newbie Checklist PLR for Project Efficiency….for Newbies! If you’re an internet marketer then you know how hard it is to resist selling and promoting to the interent marketing crowd. If you don’t know your stuff, your subscribers will smell you out and unsubscribe in a short time. However, everybody has to start somewhere and selling internet marketing materials to the newbie crowd can be very profitable. Once again, there is a deluge of material out there but most of it, quite frankly, is dribble. Ebooks overstuffed with words and not telling you anything. Reports that are either over the newbies head, or just make no sense at all. Well, let me cut to the chase. If you want to sell or give something a way to start building a newbie list, then The Newbie Checklist is the perfect PLR product for you. Finally you can start selling a quality product that everybody wants and needs. * Source files for every little piece of this awesome package! I am not kidding when I tell you that its so much easier to learn from a simple checklist than a long drawn out ebook… So give your customers what they want with these checklists. Add them to your exsiting product and INSTANTLY increase the value and effectiveness of your product. Your customers will thank you for it! ReBrand them and sell them in a neat little bundle like this with Resale Rights and start earning an extra income on the side without effort! E-mail your list for a quick (huge) turn-around for your purchase price, infact you are start making a HUGE return right now! Add this to your membership site, and help out your customers while adding huge value… without effort! Create an entire new product based around these checklist, and create a new revenue model easily! Watch this quick Video to get a better idea….these are really cheap, don’t let them pass you by! I know you aren’t going to believe this. Jimmy D. Brown is offering PLR rights to some of his best reports and products (some NEVER-BEFORE-RELEASED!) for a very limited time only. Jimmy D. Brown one of Internet Marketing’s most renowned teachers has done all the hard work for you. He has been my mentor…a steady rock in the sea of internet marketing confusion….he is someone you can trust absolutely. How many times have you thought about offering an ebook, course or even membership on Internet marketing but you just weren’t sure where to start. Who has the time to create all the material from scratch, organize it and still have time to market it? Now you don’t have to. There are three packages available and in the spirit of Christmas, he’s giving away the Bronze package without any strings attached. Just go to the site and download the materials. * Create your own original articles. * Edit them and sell them as your own. * Convert them into audio products. * Develop a coaching program around them. * Stock a membership site with them. * Extract parts for blog posts. … but the availability of these packages is not! So, I strongly encourage you to go right now and download the free Bronze PLR Package before it is no longer available. And check out the other two packages while you are there. Even if you don’t plan on using them until down the road, you won’t find better quality content for the price. And, they simply won’t be around very long. If you’re not ready to buy the silver or gold package, you owe it to yourself to at least grab the free bronze package. Remember – you get full PLR rights to the article and report. Rebrand it and hand it out to your affiliates, or sell it to your list. Grab the bronze package at no cost to you. Trust me….this offer will be gone 6 days from this post! If you have a list that you are mentoring then this is some of the best stuff you’ll find online…not written by some ghost writer, but by the master himself, Jimmy D Brown. He will make you look like a superstar for sharing his information……I really hate all the hype, but it’s really true….you won’t find better material than this.